Discussion in 'Handbags' started by thecoveted, Jul 8, 2009. I have a friend who collects bags from fashion shows. At first I thought he did it to have glamorous grocery bags, but after seeing the shimmery gold bags toted around by the press at Berlin Fashion Week, I can see why someone would collect these yummy bags. Even more so, I was so delighted to see that one of my favorite German designers, Munich based, Ayzit Bostan had made these in collaboration with BREE. I know I have more, but I never thought to put them together in a thread. 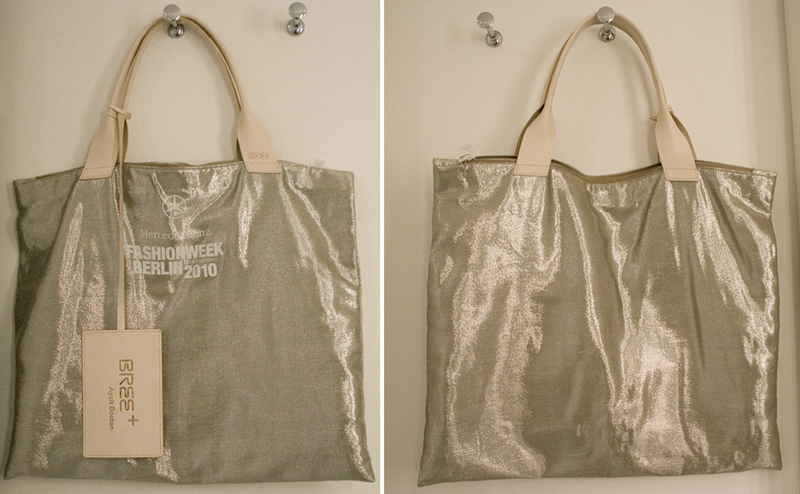 Do you care to share your tote bags, goodie bags, from fashion week? 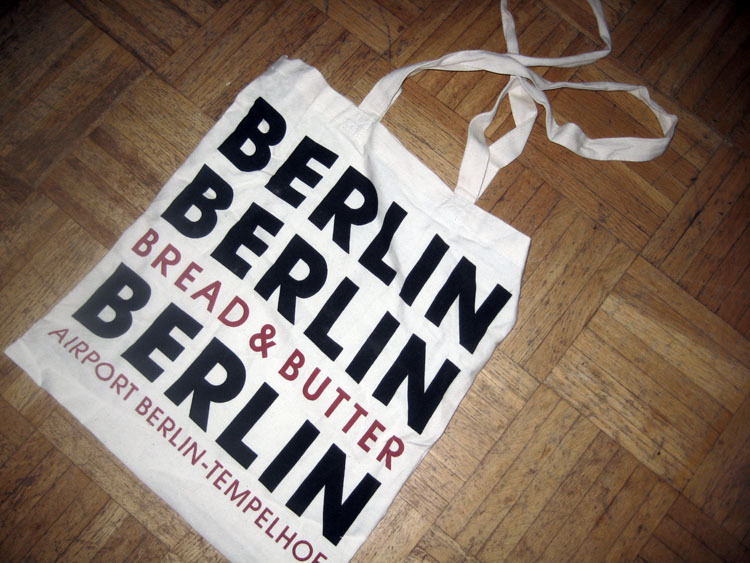 Oh and here's the totes from Bread & Butter Berlin... I didn't like much the tradeshow, but I did love the bag... which I' going to use to carry my groceries for certain! the first one is stunning. iWant!! Very cool bags! and interesting idea for a thread! does that mean i have to attend Berlin Fashion Week next season? interesting thread, i really wonder if we will see any bags as nice as the first one on this thread!